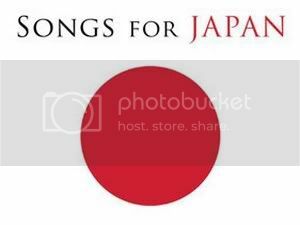 The big story on this week's iTunes Chart Watch is the Songs For Japan compilation that is #1 on the albums chart. We have all been heartbroken by the devastation in the aftermath of the earthquake and tsunami. iTunes and several artists and their labels have assembled a digital benefit album for $10, proceeds going to relief efforts. It's great to see it at #1. If you've already donated to the effort, God bless you. If you haven't, here's an opportunity to be generous and get a little musical attaboy along with it. Among the artists included on the set are R.E.M., U2, Bruce Springsteen, Justin Bieber, and more. Another title of notice on the albums chart is The Strokes' new album Angles. We had quite the wait between albums three and four and their new set has been embraced by the iTunes listening crowd as has the latest from Panic! At The Disco. Wiz Khalifa's new album is out this week but already his single "No Sleep" is #1.